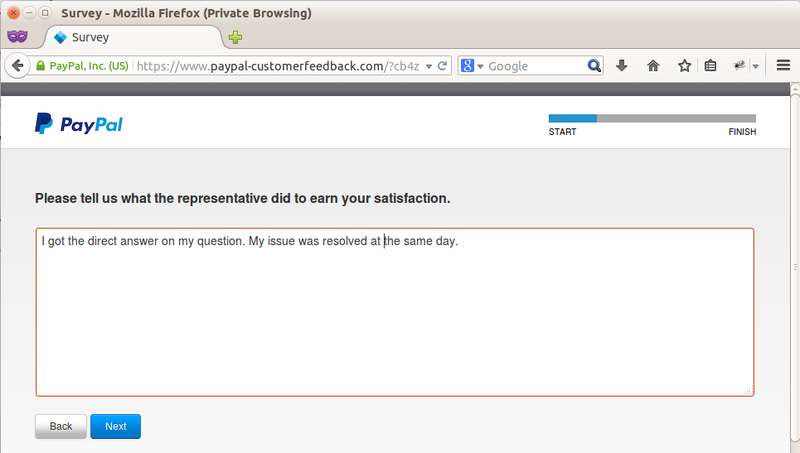 PayPal customer feedback email came today to my mailbox. 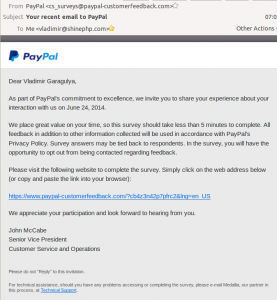 First, I think that it is one of regular fake emails declared that it was sent by PayPal, but really sent from the address with the different (not paypal.com) domain – cs_surveys@paypal-customerfeedback.com in this case. I almost decided to delete this message as the tens of others similar sort of scam-fraud-etc. stuff, but after looking on the message text I got a thought that it could be a wrong decision. Let’s see, why I was thinking that way. 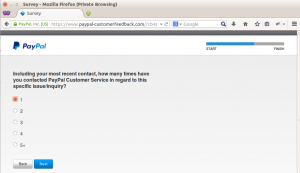 – does not mask links in the message with URLs different from the URLs shown at the text. I show the full screenshot of discussed email message below for your reference (click on it to look the picture in the original size). 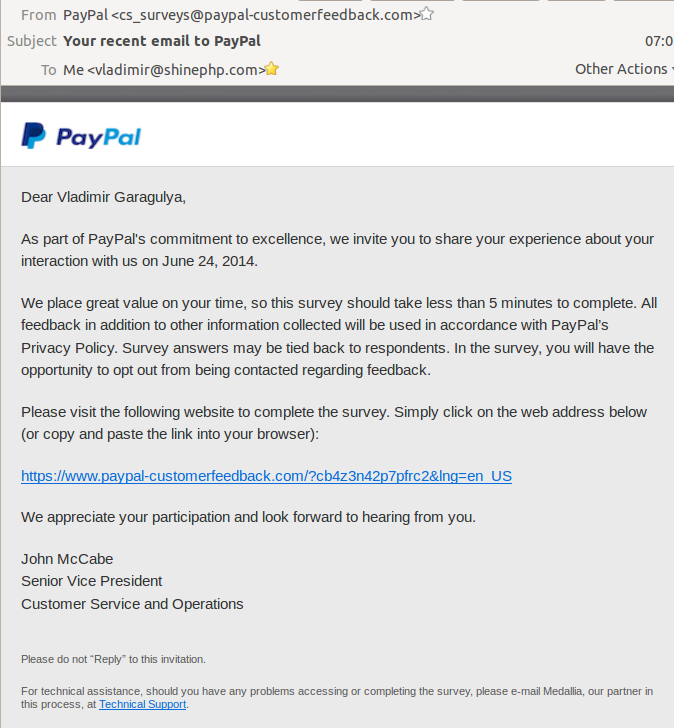 Yes, as I mentioned at very begin this email came not from the paypal.com domain, so -3. 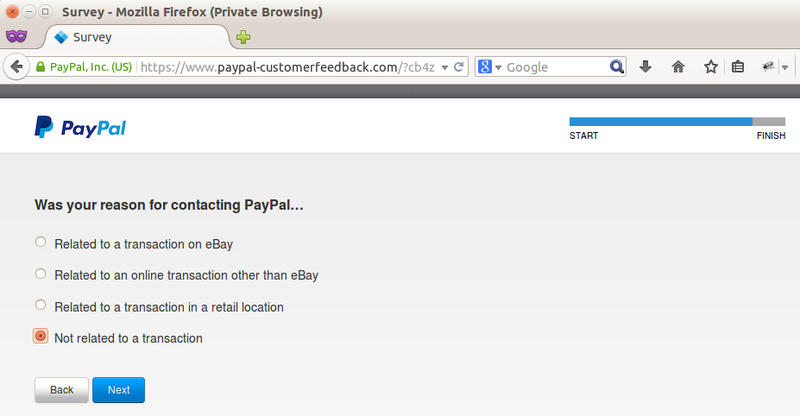 But I got this email message to my primary email address, registered at PayPal. This is the positive point: +1. 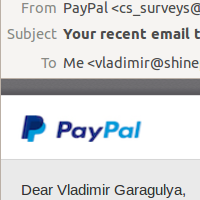 Email message was started from my full name: +1. 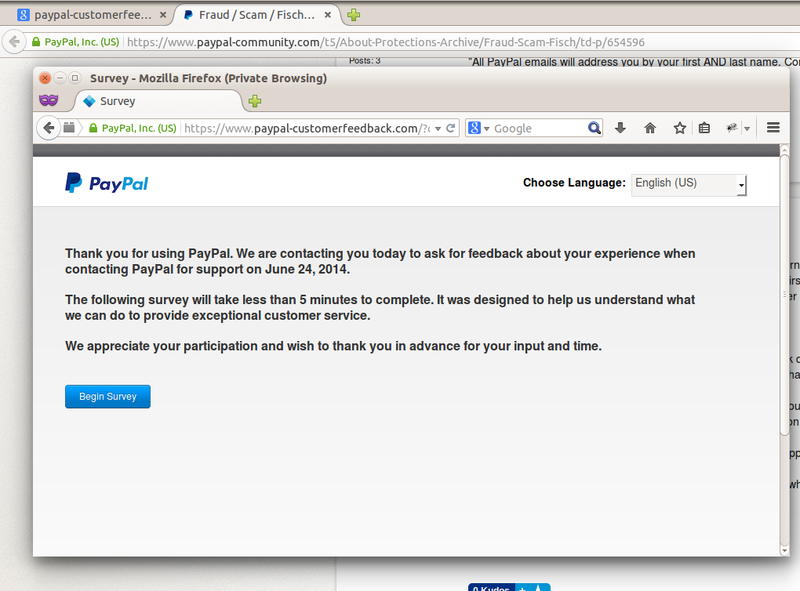 Moreover, it contains the valid date “June 24, 2014”, when I really contact PayPal support to resolve one problem: +1. 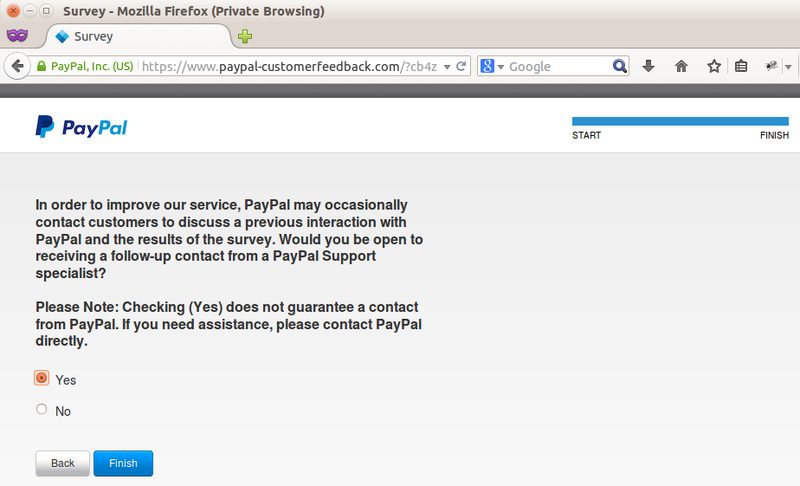 The message does not contain any request to login to PayPal account or send login information to somewhere: +1. 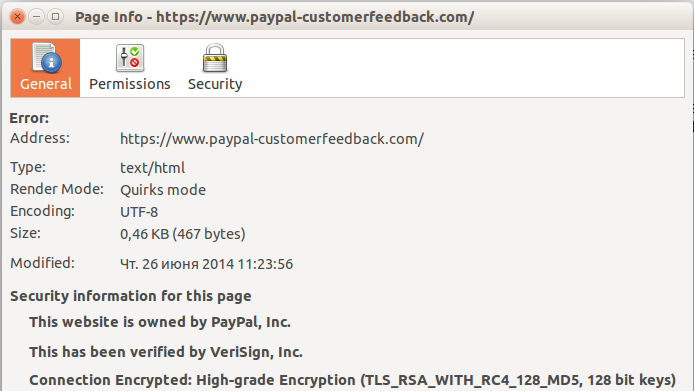 All links included to the message point to the same URL as one shown to the reader of this meesage: +1. 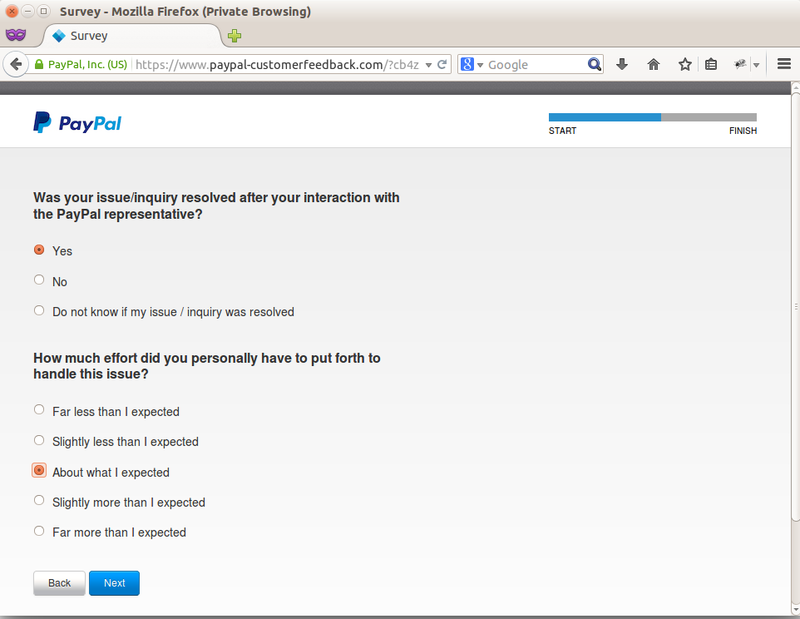 The message references the “Medallia” company as the PayPal partner in this surway, and email was sent really from “Medallia” servers: Received: from inap221.mx.medallia.com (inap221.mx.medallia.com [199.102.178.221]): +1. 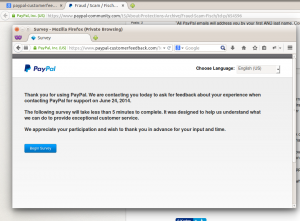 – domain: paypal-customerfeedback.com is not new, it was registered about 2 years ago (08/28/2012). – the server IP Address which is 199.102.178.133. 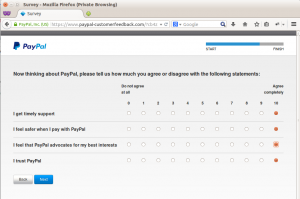 Paypal-Customerfeedback.com resides at Medallia in Palo Alto, CA, United States. Pay attention that the 1st three parts of IP address here is the same as mail server IP-address from which I got the email message. More positive point to our score: +3. Let’s count the total: -3 + 1 + 1 + 1 + 3 + 3= +6. 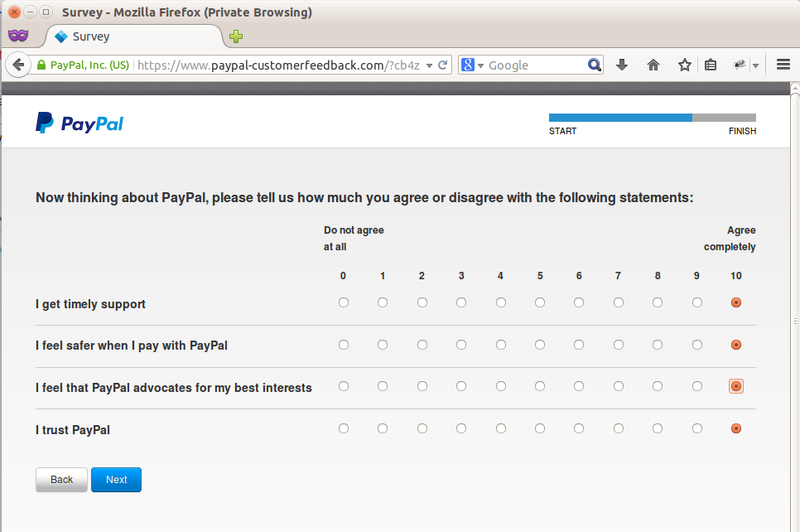 Thus, I decided to go through this survey. Let’s go together through 11 steps. 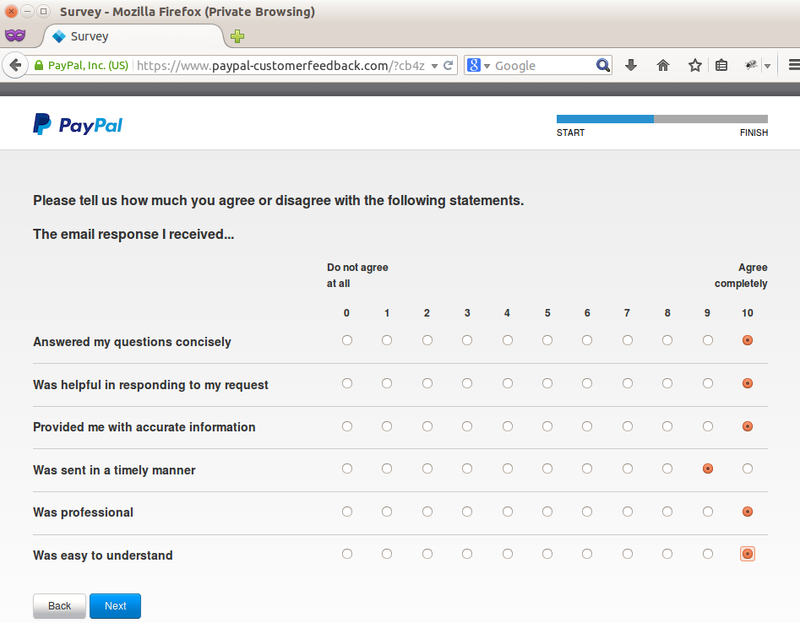 Conclusion: It is real survey organized by Medallia company on the side of PayPal. 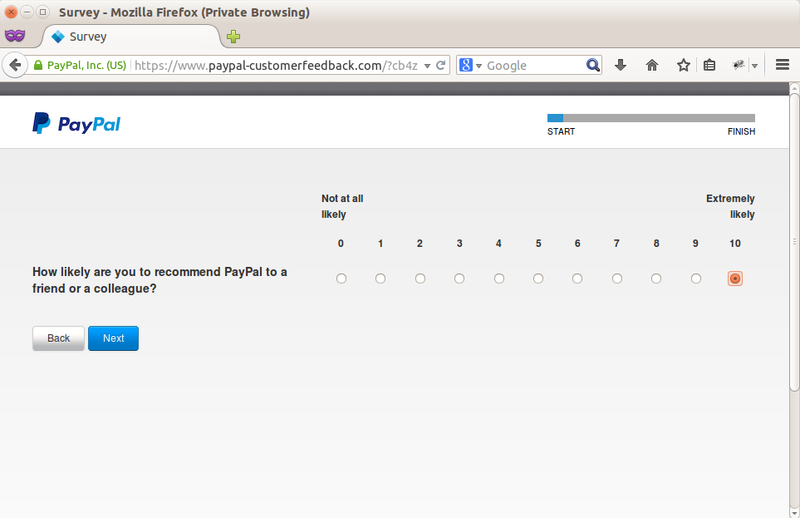 All steps of the survey goes through SSL encrypted connection at the same paypal-customerfeedback.com, no redirections, no maliciouse outbound links. 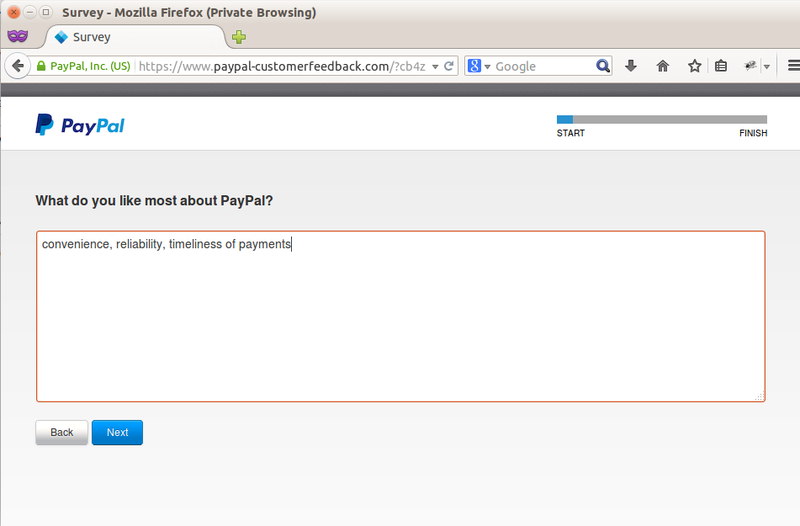 Thus, we can trust to email messages with feedback survey requests from the paypal-customerfeedback.com domain. 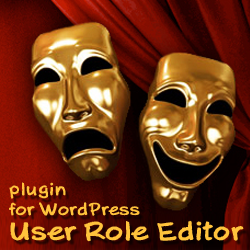 This entry was posted on Thursday, June 26th, 2014 at 00:44	and is filed under Security. You can follow any responses to this entry through the RSS 2.0 feed. You can skip to the end and leave a response. Pinging is currently not allowed.